Front row, at right: a first cousin of Irene Von Arx. Second row, second from right: a first cousin of Irene Von Arx. 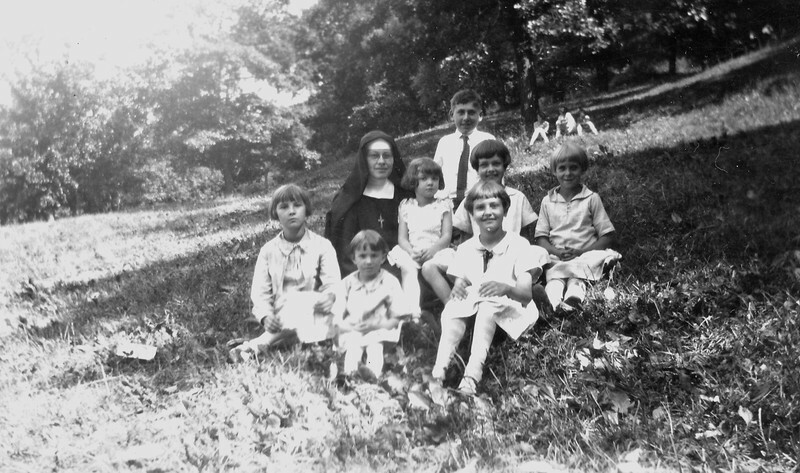 The cousins are children of William and Emma Von Arx (parents of 14 children). Sister Joachim is also in the photo.